We as art factory with thousands of decorative oil paintings including abstract art, modern art, contemporary Red Flower Huge Plum Blossom Artwork to satisfy all of your fine art needs. Hand Painted huge red flower oil painting on canvas by our professional artists. 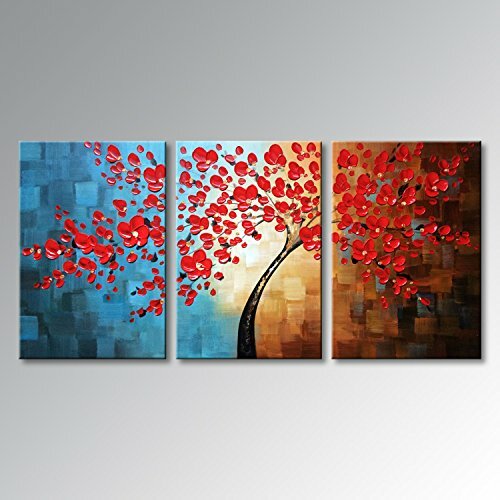 This is hand painted abstract plum blossom artwork, it is not a canvas print. This canvas wall art for living room, bedroom, kitchen, office, Hotel, dining room, bathroom, bar etc.